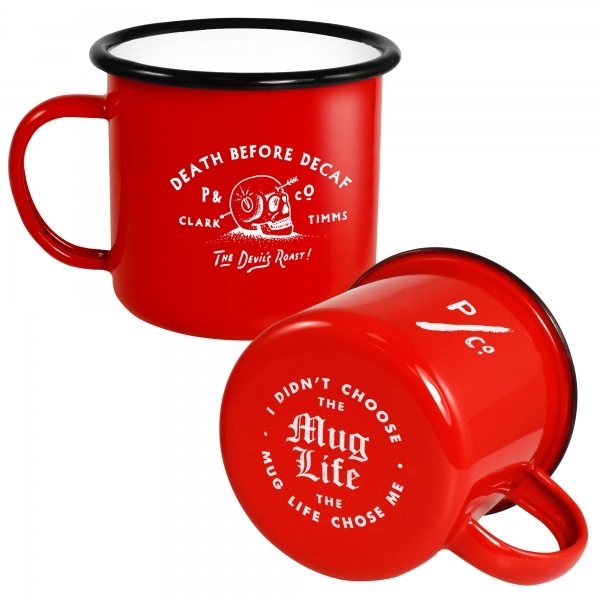 These fantastic enamel mugs are ideal for everyday home use or days away camping. 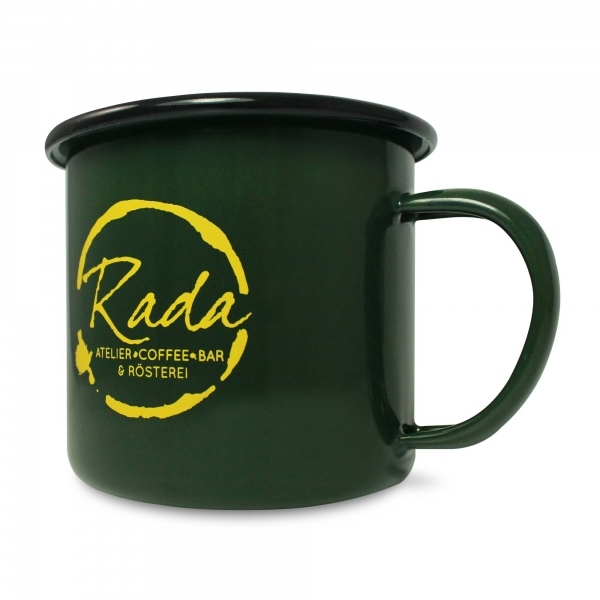 With a distressed retro finish, the printed enamel mug appeals to those craving nostalgia with its rustic inspired design. 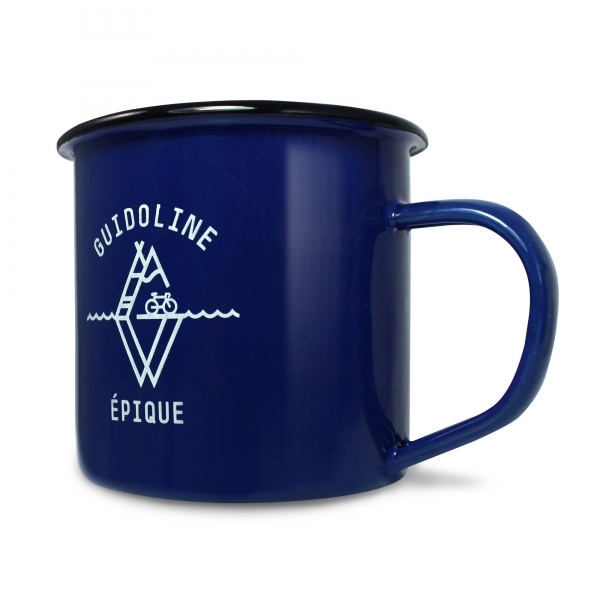 Enamelware is porcelain fused onto heavy guage steel, making it very durable. The colour is long lasting and cannot burn. 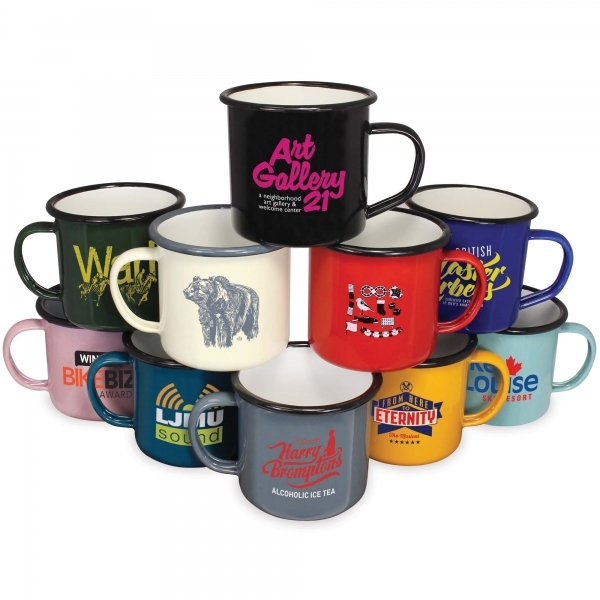 Why not print your logo to this cool and quircky mug and advertise your brand with timeless style . 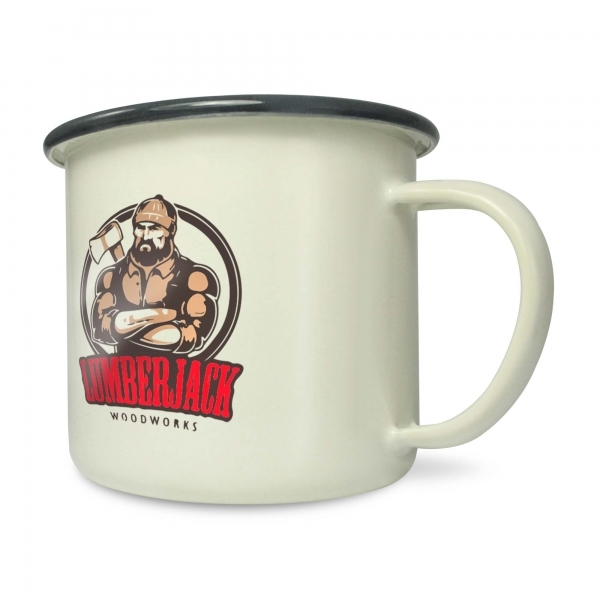 Some colours available in 4oz or 20oz sizes. 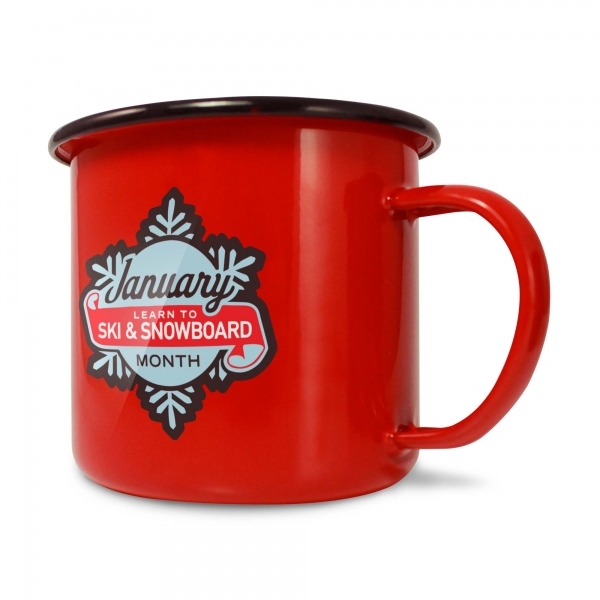 There are extra options available on this mug for an additional charge - they can be pantone matched, if you need a larger print area, they can be printed with a full wrap print or on the base. Gift boxes are also available. Call us now on 029 2079 0006 to place an order today.